Although I wrote everything I know about squirrel issues for this website, oftentimes a problem with squirrels in the attic is beyond the scope of the do-it-yourself homeowner to solve. I have found a professional company in Cleveland, Ohio that handles problems with wildlife. 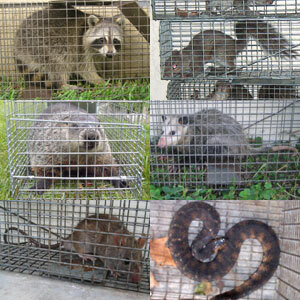 Wildlife & Environmental Solutions has access to tools, techniques, and experience that help them do a far better job at wildlife removal than a non-experienced homeowner could. They possess licensing that allows them to do certain types of work legally, that non-licensed homeowners in the state of Ohio are not allowed to do. For the welfare of your situation, and the squirrels, in some cases it's best to hire a pro. There are good companies and bad companies out there. I've done research on such companies, to get to know them, and feel confident recommending their services. I therefore recommend a company called Wildlife & Environmental Solutions which services Cleveland, Ohio. If you have a squirrel problem, or any other conflict with a wild animal, and live in Cleveland, I am confident that this company, Wildlife & Environmental Solutions, is the one to call. I asked the company to describe their service range, and they said this - We service downtown Cleveland, and surrounding areas like Rocky River, Lakewood, Euclid, Cleveland Heights, Shaker Heights, Garfield Heights, Parma, Middleburg Heights, and the whole area. Wildlife & Environmental Solutions operates 24/7, so don't hesitate to call at any time to discuss your wildlife problem, and schedule an appointment for same-day or next-day service. Hi David, I replaced some squirrel-eaten-through fascia in my ancient two-story house with some effort, setting up a scaffold and whatever. However, within a few months, the replacement wood was chewed through by squirrels. I decided it seemed like the repair required quite a bit of effort for such a temporary solution and pretty much gave up on trying to keep them out.. Is there any material to use in place of wood that the squirrels can't simply chew through? Thanks for your article and for your help. My response: I generally use steel flashing or steel mesh. David, I desperately need help. I'm infested with these critters. I have an exterminator but its not working. Its almost 2 years now. I believe they have now moved to below my insulation. WE hear them in our walls, ceilings all day and night. Unfortunately we can't seem to find their entrance or exit for I have 3 children under 6 years old with a husband that is out of town weekly. Its not feasible for me to be out at dusk checking our property. Could a roofing contractor help seal my eves and roof? Then with it all sealed there would be no way in or out and they would just die??? Or destroy the wood in the attic to survive??? Who would you recommend that would help me???? I live in Wernersville, Penna. Any thing, any suggestions other than leaving my home forever. If you have a squirrel problem in Cuyahoga County Ohio, or any other conflict with a wild animal, I am confident that we can solve it. We use humane methods when dealing with Cleveland wildlife removal situations. Squirrel Control Cleveland. Our company is fully licensed and insured in Ohio. Call us any time at 440-527-6300 for a price quote and to schedule a same-day or next-day appointment to solve your squirrel problem in Cleveland.